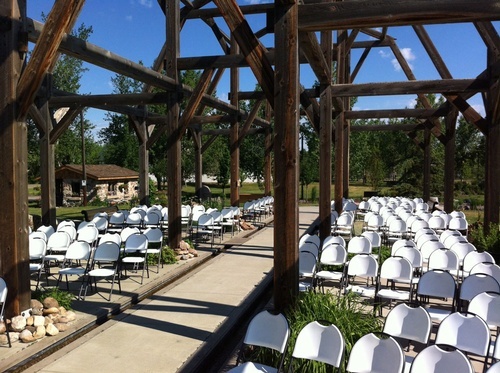 Welcome to Table and Chair Rentals for All Occasions located just outside of Leduc, Alberta. We specialize in table and chair rentals for all special events. Table and Chair Rentals for All Occasions carries a variety of different sizes of tables, chair styles, linens and napkins. If you need additional items for your wedding like pillars, staging, or even coffee urns, we can provide them as well. We have 10 x 10 foot canopies which are useful for providing shade on those hot, lazy days of summer. No event is too big or small to make the day special. We provide service for big or small events from weddings, birthdays, backyard events, office get-togethers, meetings, garage sales, beer gardens, corporate functions, festivals, sporting events, grand openings to events like just needing a few more chairs for your Christmas meal. Our knowledge base proves to be a valuable component in all our client relationships and your special event. We build partnerships through trust, commitment and excellent customer service. We can deliver and pick up for your convenience.